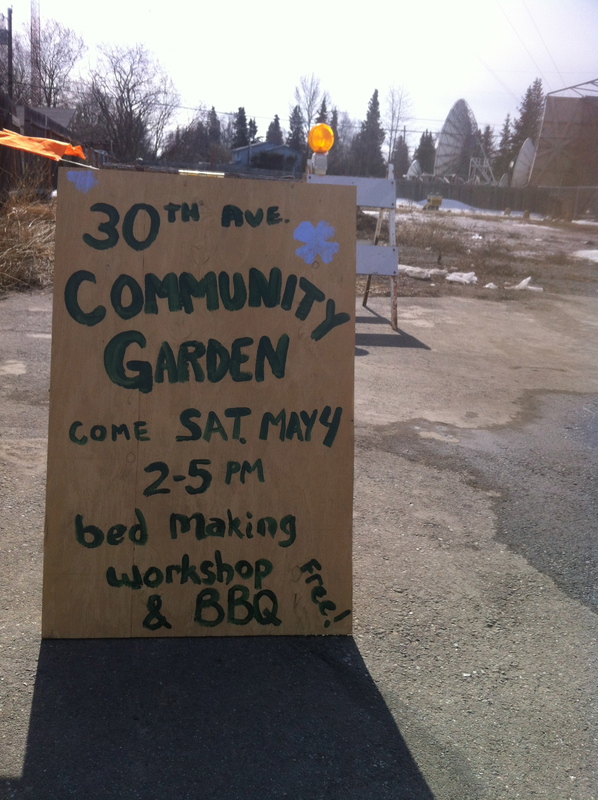 I’m having a sheet mulch workshop and bbq Saturday May 4, 2013 to start building a community garden for my street! Please come! Email me at katmainomad (at) gmail (dot) com if you think you will or need more information. Background: Ever since I bought the ecoplex in 2008 I’ve dreamed of turning one of the empty lots on the street into a community garden. This probably would have been easy enough by asking an absentee landlord for permission and getting on with it, but that never happened. Owning the land, although contrary to the ‘community’ part, could ensure that someone else didn’t spoil the plans at some future date. Last summer, I bought the land next door to me. I might develop another ecoplex on it someday, but I really would like part of it to remain community garden in perpetuity. 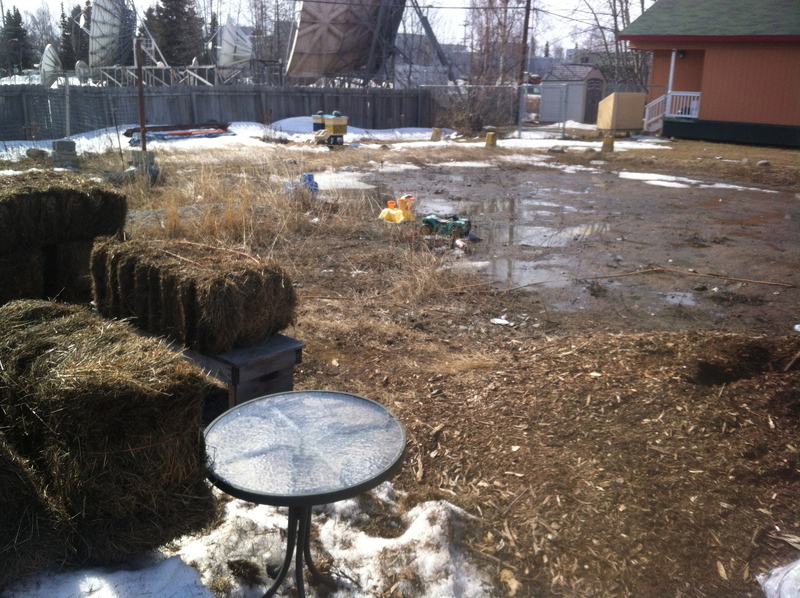 A community garden is needed here because it is a high density, low income area with a dearth of green space. Challenges to the project include my shyness, the high turn over of the rental community, a lack of good soil on the lot, some potential language barriers. Resources for the project include a diversity of knowledge and background in the community, and enthusiasm – from me right now and quite potentially from other participants! A few weekends ago I cased the entire neighborhood passing out flyers (with the help of a very generous and kind friend) inviting folks over for an initial garden meeting with snacks. One very nice man from the neighborhood and a friend from the permaculture guild showed up. Since then one other person in the ‘hood has sought me out wanting garden space. My tenants will also have space. Honestly, just building 5 big beds for those people will take all the resources I could probably muster this spring, but I’m guessing once we start building it, more will come. So far I have gathered 17 2-string bales of spoiled hay from the valley, along with (by tomorrow) two car loads of pure goat manure (no bedding) and a bunch of cardboard. Due to the compacted poor soils, we are going to build sheet mulch beds with these materials and a little soil from my lot to plant into. Sheet mulch beds are a composting-in-place permaculture technique, and these beds will probably be most fertile next year after they rot down a bit. Saskia Esslinger of Red Edge Designs/ Williams Street Farmhouse will teach the workshop Saturday. I’ll post pictures as we build things. I’m hoping to get two 5′ by 20′ beds in this weekend with those materials. 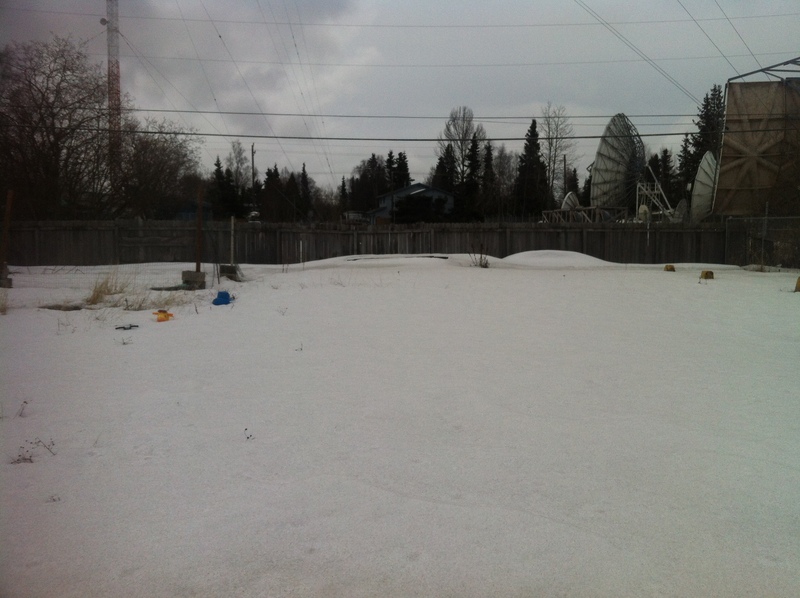 It’s been a cold spring and luckily the last of the snow left the future garden spot in the last couple of days, by Saturday we’ll be good to go…hopefully! It could be worse…this was 5 days ago!